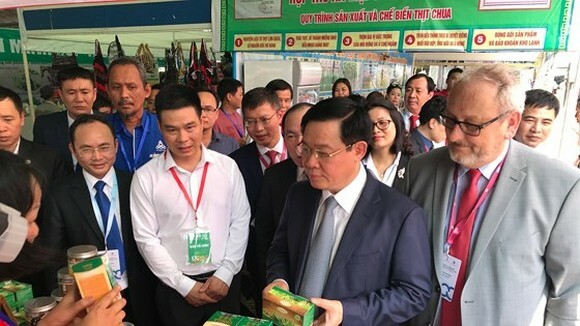 A delegation of Ho Chi Minh City led by Mr. Nguyen Thien Nhan, Politburo member, Secretary of city Party Committee, visited and gave gifts to resettled religious establishments in District 2 in the afternoon of May 12. Party committee secretary of district 2 Nguyen Hoai Nam reported to the delegation that 22 religious establishments positioning in the areas where the city zoned for a new modern center project have agreed to relocate and give up land for the center. These religious establishments have been relocated and resumed religious activities in the new settlements that are more spacious. 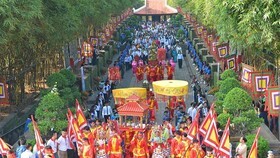 City and district agencies have been mobilizing and persuading other religious establishments to hand over the ground to serve Thu Thiem new urban area project. Mr. Nguyen Hoai Nam affirmed that the city has always created best conditions and implemented proper policies to support the religious establishments during the replacement. Accordingly, the city has exchanged new location with an extra area of more than 20% in comparison to the old one in a fully advanced infrastructure area. Realizing that religious establishments are quite special, the city authorities offered the value of architectural compensation 2.8 times higher than that of private houses, he said. 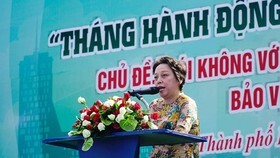 "At the same time, the Vietnam Fatherland Front Committee of HCMC has also provided additional VND 4 million per square meter for the main structure of the facility (of the relocated establishments) to create conditions for them to build more convenient and spacious constructions". In addition, in the process of design and construction, the religious establishments are facilitated by the local authorities in issuing construction permits, supporting electricity and water supply… to complete the architects soon, he added. 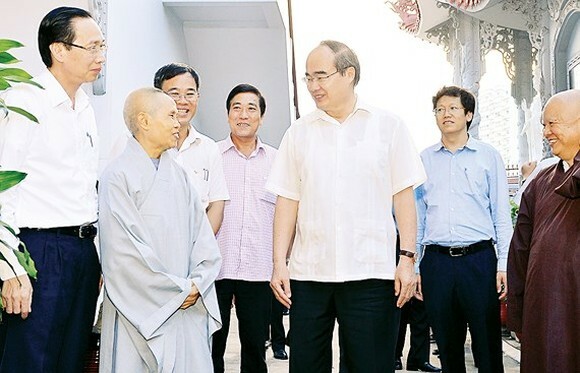 Representatives of the religious organizations expressed their gratitude to HCM City's leaders and said that after they were relocated to the new places, they were able to build more spacious architects and avoid water flooding as in the past. Religious leaders of some religious establishments also affirmed that the religious establishments in the new places had been popularized soon by the local residents and followers who support and participate in the religious activities. Expressing his delight at this result, Secretary of the HCM City Party Committee Nguyen Thien Nhan said that the Party and State's consistent policy is to respect and ensure freedom of belief and religion of the people and the Law on Belief and Religion takes effect from January 1, 2018 has concretized the viewpoint and policy. 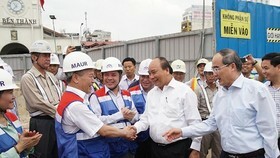 The city Party Chief said that his delegation’s visit also demonstrated the interest of city leaders to conditions of the religious practice at the pagodas and churches after moving for building Thu Thiem new urban area. 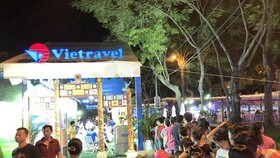 Mr. Nguyen Thien Nhan also believed that in the future when Thu Thiem new urban area will be shaped, the number of residents increases, thus attracting more Catholic followers, Buddhists and religious people. 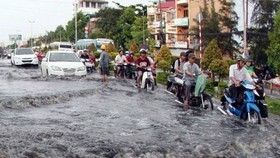 Relating to inaccurate information about the city planning to auction nine plots of land, Head of Investment Construction Management Board of Thu Thiem New Urban Area Nguyen The Minh confirmed that the nine plots belong to functional area No. 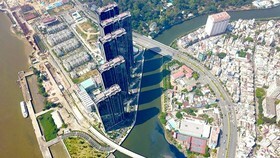 1 of Thu Thiem new urban area will be used to build a financial center (which plays a crucial role in the core section of Thu Thiem New Urban Area), and a trade, service, multi-functional residential center. The total square of the 9 plots is 7.8 ha and excludes the area of the Thu Thiem Church and Church of the Congregation of the Holy Cross Lovers, he said. "Therefore, the auction of these 9 plots is not relevant to, nor does it affect the operation of the Thu Thiem Church". 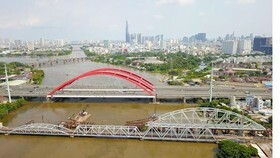 According to the management board, the target of selling the 9 plots of land is to raise a fund for building a complex of internal roads and technical infrastructure of the area which is connected to the infrastructure of Thu Thiem new urban area, he reported.